As far as Android modding is considered, Magisk and SuperSU are two trendy names. While Magisk is a new entry to this arena; SuperSU is an older tool. These two tools are used for performing the same functions but still have a difference in the manner of working and the significant difference lies in the way root affects the system. 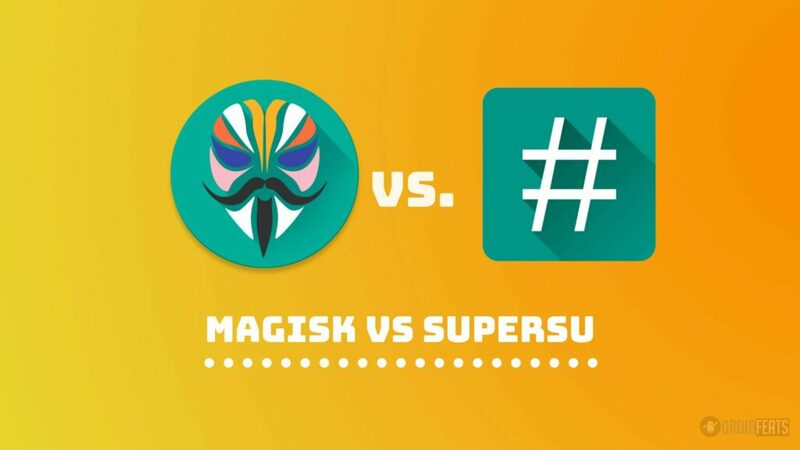 Depending upon your needs, you can choose between Magisk and SuperSU. To understand the working fashion of both the tools, let us first consider how they achieve root. SuperSU changes the files of the system and adds new files on the system partition of your mobile phone. This was functioning correctly without any glitch till Android Marshmallow was not launched, and Google did not beef up security. When the system partition changes, it signals a red flag to those apps which detect root. Google’s SafetyNet is an API that scrutinizes the system and keeps those apps at bay from working if any sort of tampering is disclosed. On the other hand, Magisk is a systemless root. This means that it does not change the files on the system. It will only change your boot partition and will not touch the system files in any manner. The modifications made will only be virtually laid on the top of original files. Whenever a request is made for a system file, the modified version will be made available in place of it. As a result, SafetyNet fails to detect the risk since it is sent a message that the system files are untouched. There is one aspect of Magisk which is not present in SuperSU. The Magisk Manager app is a repository of modules, and at the same time, it also allows users to have control over the root settings. These modules can be installed as mods to perform some super-cool functions. Some of these mods are Camera2API enabler, Active Edge customizations, RAM management fixes, emoji replacements, among a horde of others. On the other hand, SuperSU does not contain any built-in modules. Therefore, you will have to use different tools like Xposed to install the mods. Another important difference between Magisk and SuperSU is of closed source v open source. While Magisk is an open source, SuperSU is a closed source. The advantage of being an open source is that anybody can know Magisk’s source code. SuperSU is a closed source which was bought by a Chinese company called CCMT. Many users are apprehensive of using the closed source from unfamiliar companies. Most of the users of Android phones are relying on Magisk. The systemless method of Magisk has enabled users to seamlessly use apps to the likes of PokemonGo, Google Pay, Netflix, etc. without having to affect the root access. The most significant advantage is the open source nature of Magisk and its built-in module repository. Furthermore, it is updated regularly for users. With the increasing risk associated with security, it is touted that Magisk will expand even more in popularity in the near future.